PendoTECH have published a paper in BioProcess International Supplement Series on the measurement of very low pressure in single-use systems with high accuracy using PendoTECH sensors and instruments. The paper describes in detail how their single-use pressure sensors and instrumentation can measure pressure with sufficient accuracy to optimise process performance and also be sensitive enough to measure leak rate. Measuring pressure in Single-Use Systems requires a sensor to have a very low “zero offset stability” because the measurement is in the order of 0.1 psi (7 mBar). The paper lists test data and methods by testing before and after gamma irradiation in both positive pressure and vacuum. 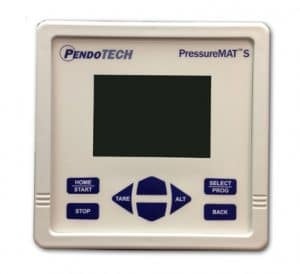 Demonstrating the high stability and accuracy of the PendoTECH pressure sensors and PressureMAT HR monitor. Measuring Pressure at Very Low Levels in Single-Use Systems.